CYBER MONDAY DEAL: Get this Hatchbox FREE with any purchase of $150 (before tax) or more! 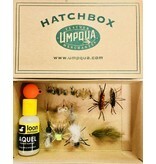 This is becoming the most popular holiday gift offered by Royal Gorge Anglers…and this year’s selection is a winner! 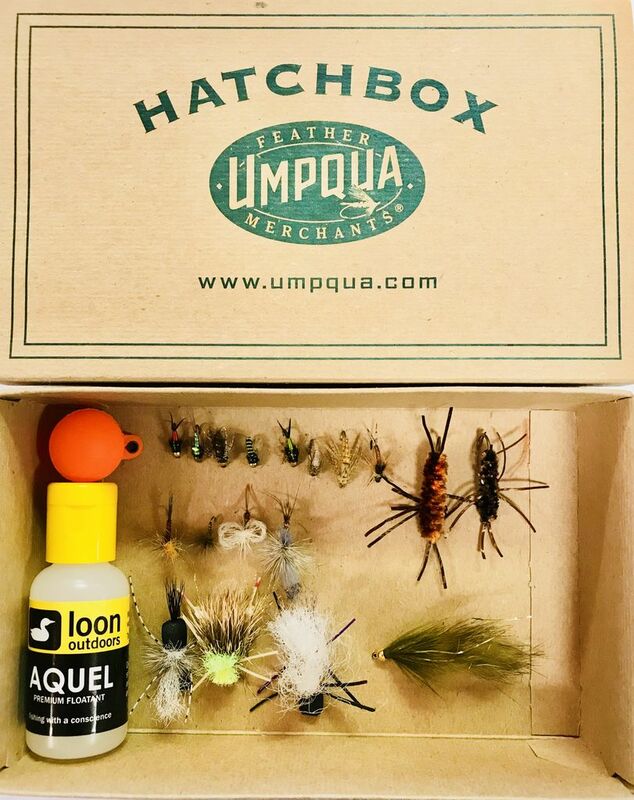 The Hatchbox includes 18 Flies (detailed below), 1 Bottle of Loon Aquel Floatant and a Thingamabobber indicator. All flies selected continue to be the most popular and most productive patterns year to year for our guides. Patterns Included (1 of Each): #16 Red Copper John, #16 Lightning Bug PMD, #16 Dressed Down Caddis, #16 Mettalic Caddis Larva, #16 Chartreuse Copper John, #14 Cranefly Larva, #14 Sloans Micro Stone, #10 Pat’s Rubberleg, #12 Pat’s Rubberleg, #14 Profile Red Quill, #18 CDC Biot Comparadun BWO, #16 Loopy PMD, #12 Film Critic Grey Drake, #12 Yellow Hippie Stomper, #10 BC Hopper, #12 Purple Chubby, #10 Olive Bouface, **Note: We reserve the right to supplement with the next closest pattern, floatant or indicator if any specific item is sold out.